Victor Benjamin is the Founder and Corporate Broker for Elite Premier Properties. Victor has been managing and selling REO and Investment Properties since 1982, resulting in the successful disposition of thousands of properties with a combined value of over $4 Billion. Barbara Keila has been specializing in the marketing of real estate owned properties in the Metropolitan Detroit area since 1994. Barbara is a dedicated professional and results-driven REO agent with a proven track record in property valuation, marketing and sales negotiations. During this time she has been responsible for the sale of over 3,000 properties generating in excess of $500 million in sales. Diane Hill has specialized in bank owned real estate since 2002. Her years of REO experience include working as an Asset Manager and now as an approved Realtor for all major lenders, including Fannie Mae and Freddie Mac. She is accomplished in her valuations, marketing and knowledge of the tri-county region. Diane closes 250+ assets a year with the help of her well-seasoned REO team. Deborah Perez has been serving the Inland Empire Area for past 12 years. Deborah primarily focuses on residential real estate, including single-family residences, condominiums, and multi-family units. She is a team player that accredits her success to her unparalleled communication, integrity, and trust. Alan Stalter has specialized in short sale real estate since 2002. Alan is an ambitious, results driven agent with a proven track record in the Industry. His experience includes marketing and selling short sale properties, negotiating short sales, working with homeowners in foreclosure and extensive property renovation experience. Mauricio Acuña has been a real estate professional for over 5 years. Over the years he has developed great business relationships and work ethics. As a dedicated professional he is focused 100% on the client’s needs. His experience and bilingual Spanish-English speaking ability makes him a great asset for Elite. When banks have properties they need to sell, it can be a difficult process for an asset manager as they need to rely on a local real estate professional to handle all of the details. I have been using my skills and expertise to provide the highest level of service to asset managers since 2003. I am a critical thinker, dependable, poised, and organized. I am passionate about all aspects of real estate whether I'm helping first-time buyers realize their dream of home ownership, marketing homes for sale, negotiating contracts, or finding optimal investment opportunities. Mary Gartner has been a real estate professional for over 5 years. She is a local market expert, serving the Coachella Valley from Palm Springs to the Salton Sea, specializing in REO properties and valuations. I have been serving the San Bernardino County High Desert Area since 2006. I am a licensed Real Estate Agent with a detailed knowledge of the industry including experience with short sales and REO transactions. I was born and raised in the area I service and am truly a local market expert. Matthew Zgonc has been serving the Central Valley since 2006. He primarily focuses on residential real estate including single-family residences, condominiums, and multi-family units. Matthew is an enthusiastic and results-driven professional dedicated to helping his clients achieve their goals. Abnash Sambi has been in the Real Estate Industry for more than 6 years. She began her career as a Real Estate Assistant, wanting to enhance her customer service skills, real estate knowledge, and learn different ways to effectively network and apply her experience in helping others. Christina Gurrola has specialized in the San Bernadino County Area for the past 4 years. Christina has vast experience with her local real estate industry having worked with buyers, sellers, negotiating short sales and REO’s. She has plenty of knowledge in negotiating cash for keys, evictions, property maintenance and property valuations. Kit Tabberer specializes in the marketing of both Commercial and Residential properties. She has been a licensed Real Estate Agent for over seven years and began her career in commercial sales, leasing, land acquisition and bank owned real estate. Kellie Rust has been a real estate professional for over 15 years. She is a local market expert, serving the Pacific Northwest, specializing in residential real estate including single-family residences, condominiums and REO properties. Michael Smiley has been a real estate professional for over 9 years. He primarily focuses on residential real estate including land, single-family residences, condominiums, and multi-family units. Michael’s positive attitude, dependability, and motivation make him a great asset to the Elite team. Carlos Acanda, Elite REO Services’ REO Specialist for the Miami-Dade Division, has been serving the South Florida area for over 8 years. As both a Realtor and an appraiser, Carlos holds a considerable amount of knowledge and experience in the local South Florida residential real estate market including land, single family residences, condominiums, and multi-family units. Yulya Lilov specializes in the marketing of real estate owned properties. Yulya contributes to the growth of Elite Premier Properties through her ambition and dedication in property valuation, marketing and sales negotiations. John Jones specializes in the marketing of real estate owned properties. John contributes to the growth of Elite Premier Properties through his ambition and dedication in property valuation, marketing and sales negotiations. Bob Ermanni specializes in the marketing of real estate owned properties. Bob contributes to the growth of Elite Premier Properties through his ambition and dedication in property valuation, marketing and sales negotiations. I am a dedicated and professional Real Estate Broker who has served the Central Florida Counties which includes Orange, Osceola, Seminole, Polk, Lake, and Volusia County. I am a knowledgeable full-time agent familiar with these market areas and am equipped to assist you with all of your REO needs. Alokee Shah specializes in the marketing of real estate owned properties. Alokee contributes to the growth of Elite Premier Properties through her ambition and dedication in property valuation, marketing and sales negotiations. Elizabeth Sheets specializes in the marketing of real estate owned properties. Elizabeth contributes to the growth of Elite Premier Properties through her ambition and dedication in property valuation, marketing and sales negotiations. Garrett was born and raised In Orange County, CA. At an early age he developed a strong, hands-on work mentality by watching his father and grandfather operate a local auto mechanic shop. Garrett has always had the drive to grow, learn, and accomplish. Tonya Davis specializes in the marketing of real estate owned properties. Tonya contributes to the growth of Elite Premier Properties through her ambition and dedication in property valuation, marketing and sales negotiations. I am the spouse of a 0311 Marine Corp Veteran. I have lived in Orange County CA for 11 years. I am originally from Virginia Beach, VA. I graduated from the University of Phoenix with a Bachelor of Science in Business Administration in 2012. L Freddie Edwards is a member of the National Association of Realtors and Orlando Regional Realtor Association. Jaime McAlarnis specializes in the marketing of real estate owned properties. Jaime contributes to the growth of Elite Premier Properties through her ambition and dedication in property valuation, marketing and sales negotiations. Mark Talaba specializes in the marketing of real estate owned properties. Mark contributes to the growth of Elite Realty Partners through his ambition and dedication in property valuation, marketing and sales negotiations. Marla Goodfriend has specialized in real estate since 2012. Marla is an ambitious, results driven agent with a proven track record in the industry. Her experience includes marketing and selling private and bank owned properties, negotiating short sales and working with homeowners in foreclosure. Grant Morley currently resides in Puyallup, WA, with his lovely wife Rita and their “westie” dog Sonny. Grant is always striving for excellence, integrity, and perseverance. Grant is an active Real Estate Broker in the State of WA, with a combined 20+ years in the Real Estate/Sales field. Being a property manager, landlord and always analyzing the current Real Estate trends; has enabled Grant to be nothing less than “Results Driven” and settling for nothing less. David Cavalier, state broker for Texas, specializes in the marketing of real estate owned properties. David Cavalier contributes to the growth of Elite through his ambition and dedication in property valuation, marketing and sales negotiations. Daniel Rippel, state broker for Illinois, specializes in the marketing of real estate owned properties. Daniel Rippel contributes to the growth of Elite through his ambition and dedication in property valuation, marketing and sales negotiations. Susan Bryant, designated broker for South Carolina, specializes in the marketing of real estate owned properties. Susan contributes to the growth of Elite Premier Properties through her ambition and dedication in property valuation, marketing and sales negotiations. Carolyn Hutchinson specializes in the marketing of real estate owned properties. Carolyn contributes to the growth of Elite Premier Properties through her ambition and dedication in property valuation, marketing and sales negotiations. Bradford Amidon is an experienced Real Estate Broker and Property Manager with 15 years of continuous service. Established excellence in building relationships with co-workers and clients. Goal oriented problem solver. Flexible and able to work with a diversified staff and customer base. Brian offers his clients a unique and broad range of professional real estate experience. From searching for exotic international and domestic resort locations for Trendwest Resorts to helping seniors and regular homeowners understand and manage the process of relocating, downsizing or finding the perfect home, his straightforward and easy manner is a welcome experience for both buyers and sellers. I have specialized in servicing the Chicago-land area for the past 10 years. Whether you’re looking for the best high rise view or a home in the suburbs, I can help you. Let my experience with buyers, sellers, and property valuations work for you. Amina has been licensed with the Division of Real estate as a Real Estate Broker. Amina has been active in real estate for more than 10 years and has over 7 years’ experience in Broker Price Opinions. Oleidy Vieyto specializes in the marketing of real estate owned properties. Oleidy contributes to the growth of Elite through her ambition and dedication in property valuation, marketing and sales negotiations. Paul King specializes in the marketing of real estate owned properties. Paul contributes to the growth of Elite through his ambition and dedication in property valuation, marketing and sales negotiations. Michal Roberts has nine years experience as a real estate associate. As a native of the Denver Metro area, Michal served the local home buyer/seller while also specializing in the REO industry. Victoria Altadonna specializes in the marketing of real estate owned properties. Victoria contributes to the growth of Elite Premier Properties through her ambition and dedication in property valuation, marketing and sales negotiations. Tanni Jesse specializes in the marketing of real estate owned properties. Tanni contributes to the growth of Elite Premier Properties through her ambition and dedication in property valuation, marketing and sales negotiations. Nadia Meme specializes in the marketing of real estate owned properties. Nadia contributes to the growth of Elite Realty Partners through her ambition and dedication in property valuation, marketing and sales negotiations. David Johnson specializes in the marketing of real estate owned properties. David contributes to the growth of Elite through his ambition and dedication in property valuation, marketing and sales negotiations. 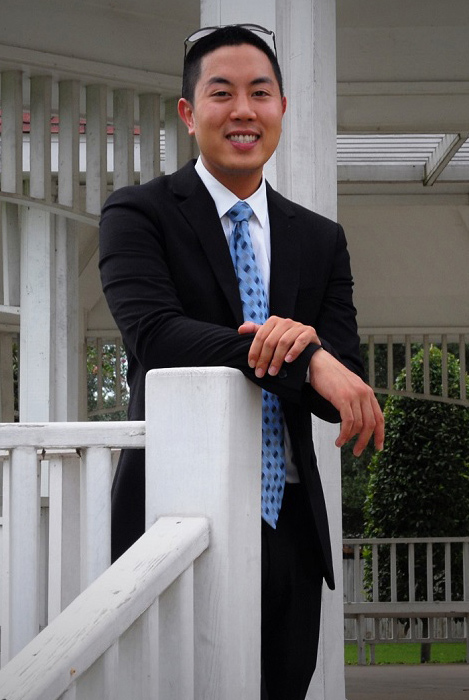 John Kim specializes in the marketing of real estate owned properties. John contributes to the growth of Elite Premier Properties through his ambition and dedication in property valuation, marketing and sales negotiations. As a broker associate with Elite Realty Partners, I focus on helping my clients achieve exceptional results purchasing and selling property in the Palm Beach County area. For over 20-years I have been instrumental in the genesis and development of brokerage, auction and whole loan sales groups for major real estate entities throughout the eastern states. Jim Zirbes, Designated Broker of Arizona, specializes in the marketing of real estate owned properties. Jim contributes to the growth of Elite through his ambition and dedication in property valuation, marketing and sales negotiations. Manuel Gonzalez specializes in the marketing of real estate owned properties. Manuel contributes to the growth of Elite Realty Partners through his ambition and dedication in property valuation, marketing and sales negotiations. I have been serving the counties of Los Angeles, Riverside, and San Bernardino for over 10 years. My primary focus is residential real estate including, single family residences, condominiums/townhouses, and multi-family units. I am dedicated to pairing each client with a home that will match their needs and desires. Irene Kourvaras specializes in the marketing of real estate owned properties. Irene contributes to the growth of Elite Realty Partners through her ambition and dedication in property valuation, marketing and sales negotiations. 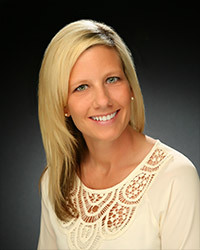 Melissa Simmons specializes in the marketing of real estate owned properties. Melissa contributes to the growth of Elite Realty Partners through her ambition and dedication in property valuation, marketing and sales negotiations. I am a results-oriented professional and have been involved in the Real Estate Industry since 1989. I specialize in REO properties and am dedicated to exceeding client expectations by providing accurate property valuations, effective marketing strategies and skilled sales negotiations. Shelby Townsend specializes in the marketing of real estate owned properties. Shelby contributes to the growth of Elite Premier Premier Properties through her ambition and dedication in property valuation, marketing and sales negotiations. AZ native living in the West Valley. I have a 16 year old daughter that is my world. I am a dog lover, I have two Pittbull mixes. Ive been in real estate since 2007. I have been dedicated to the real estate industry since 2004 and specialize in REO properties. I am a results-oriented professional who focuses on strong attention to detail, great customer service, effective communication and positive results. Karen Comer specializes in the marketing of real estate owned properties. Karen contributes to the growth of Elite Premier Properties through her ambition and dedication in property valuation, marketing and sales negotiations. Dennis Jackson, Elite's State Broker for New Jersey, specializes in the marketing of real estate owned properties. Dennis contributes to the growth of Elite through his ambition and dedication in property valuation, marketing and sales negotiations. Cynthia Ann Knezic, Elite's State Broker for Wisconsin, specializes in the marketing of real estate owned properties. Cynthia contributes to the growth of Elite through her ambition and dedication in property valuation, marketing and sales negotiations. Stephen Batchelder specializes in the marketing of real estate owned properties. Stephen contributes to the growth of Elite through his ambition and dedication in property valuation, marketing and sales negotiations. Marie Bowe, Ohio's Designated Broker, specializes in the marketing of real estate owned properties. Marie contributes to the growth of Elite through her ambition and dedication in property valuation, marketing and sales negotiations. Mamie Bradshaw specializes in the marketing of real estate owned properties. Mamie contributes to the growth of Elite Premier Properties through her ambition and dedication in property valuation, marketing and sales negotiations. Raised in Sacramento, I was born into a real estate family. From 1960 until the mid 1990’s my family ran the largest home building company in Sacramento county. Through High School and College I worked summers doing labor and construction in the subdivisions. Following graduation, I worked 10 years for the company as their Marketing Director. Ethan Strauss specializes in the marketing of real estate owned properties. Ethan contributes to the growth of Elite through his ambition and dedication in property valuation, marketing and sales negotiations. Lynnette Saunders has been a real estate professional in South Florida for over 13 years. Her primary focus forthe past 8 years has been in the REO field. Native Californian, originally licensed in 1991, having worked directly with Broker/Owners in the San Fernando Valley. Worked as a staff appraiser, then government construction contract project manager. Designated Broker for Missouri, Michael Haislar specializes in the marketing of real estate owned properties. Michael contributes to the growth of Elite through his ambition and dedication in property valuation, marketing and sales negotiations. Kimberly Young’s focus on service and integrity provides an excellent home sales experience for her clients. Kim’s experience with real estate dates back to when she was a teenager helping her father manage the rental properties he owned. Latrice Jones specializes in the marketing of real estate owned properties. Latrice contributes to the growth of Elite through her ambition and dedication in property valuation, marketing and sales negotiations. Silvia Mirabella specializes in the marketing of real estate owned properties. Silvia contributes to the growth of Elite through her ambition and dedication in property valuation, marketing and sales negotiations. Sharon Collins specializes in the marketing of real estate owned properties. Sharon contributes to the growth of Elite through her ambition and dedication in property valuation, marketing and sales negotiations. I am a results-oriented professional and have been involved in the Real Estate Industry since 2001. I specialize in REO properties and am dedicated to exceeding client expectations by providing accurate property valuations, effective marketing strategies and skilled sales negotiations. Thomas Gain specializes in the marketing of real estate owned properties. Thomas contributes to the growth of Elite through his ambition and dedication in property valuation, marketing and sales negotiations. A professional engineer, investor,realtor and certified Real Estate pricing specialist (C-REPES) and a member of National Association of brokers price opinion professionals (NABPOP). Expertise in evaluation and marketing of distressed real estate properties. First hand knowledge of short sales, lender owned properties, asset management, repair estimates, real estate property rehabilitation and maintenance. Christine Ashton specializes in the marketing of real estate owned properties. Christine contributes to the growth of Elite through her ambition and dedication in property valuation, marketing and sales negotiations. Nels Bejleri specializes in the marketing of real estate owned properties. Nels contributes to the growth of Elite Premier Properties through his ambition and dedication in property valuation, marketing and sales negotiations. From 1999-2008 I was an agent for Crye-Leike, Realtors in Nashville. There I learned how to sell real estate, effectively manage my time, and developed an interest in brokering. I also became an expert in REO/HUD sales and marketing during this time. Karina Skinner, Elite's State Broker for Indiana, specializes in the marketing of real estate owned properties. Karina contributes to the growth of Elite through her ambition and dedication in property valuation, marketing and sales negotiations. My name is Xen Ruffin and I have been in the real estate industry since 2014. What I like about real estate is working with different sellers, buyers and banks when I do BPO's. I get the opportunity to work with a lot of people and see many beautiful properties. Laurel Pazienza epitomizes integrity, energy, hard work, and creative service in every detail of your real estate transaction. As a New Mexico Real Estate Broker, Real Estate Pricing Specialist, and Real Estate Owned (REO) Agent, Laurel’s goal is to make every client a client for life. Whether marketing homes for sale, helping first-time buyers realize their dream of home ownership, negotiating contracts or finding optimal investment properties, Laurel is committed to providing exceptional service. Houston realtor and NABPOP Certified. I can understand what it feels like when it comes to looking for your first home or if you’re a grizzled veteran. Inside and outside of Elite Premier Properties I help build communities one family at a time. I specialize in buying, selling, leasing, short sales, Notice of Default, Real Estate Owned properties and Broker Price Opinions. I can give you information on everything you need to make the right purchase when deciding on your next investment. Leona Greenlow-Turner is a Realtor with Elite Premier Properties in Irvine, CA. She has been in real estate since 2003 and with Keller Williams for 11 years servicing sellers, buyers, and investors. Leona has a background as Keller Williams Faculty and a Keller Williams New Real Estate Agent Mentor. Mrs. Greenlow-Turner is currently building her real estate team to include Listing Agents, Buyer's Agents, Transaction Coordinators and Assistants. A life-long resident of San Fernando Valley and Ventura County. Oscar brings over 20 years of Real Estate servicing and property valuation experience in which he has worked for major national banks and mortgage lenders. During his tenure in the corporate level he managed teams in areas of Real Estate Investment Analytics, Default Servicing and Distressed Asset Disposition. My goal is to continue building and expanding our relationships with banks and asset management companies across the nation and provide a top notch system focused on systematic and efficient processes from start to finish on every BPO, and/or listing. Retired PhD in Chemical Engineering with 28 years experience in the oil & gas industry. Upon retiring over three years ago, I began a new career in Real Estate, first becoming a licensed real estate salesperson and working as a sales agent for one of Houston's largest property management companies. With over 10 years of experience in the financial and real estate markets, Robert Shkreli inspires to become Westchester’s “Go to” agent and consistent leader with a reputation for tenaciously protecting his client’s interests. Sonona Goins, has been in the Real Estate Industry for over 16 years. She started as a loan officer. She is a people person who enjoys helping and assisting people with their real estate needs. She is a member of National Association of Broker Price Opinion Professionals (NABPOP), also a member of National Association of Realtors (NAR). Noli Runas brings his experience as a Realtor and former Campus President to Elite REO. Prior to joining the Elite REO team, he taught students and successfully managed several post-secondary private institutions. As an educator and campus administrator, he learned how to be patient, detail oriented, proactive and a strong advocate for all his students. SheriAmora has been a real estate professional covering the Las Vegas Valley since 2014. Her primary focus has been residential real estate with some commercial experience. SheriAmora contributes to the growth of Elite through her ambition and dedication in property valuation, marketing and sales negotiations. Cassandra worked in property management for 8 years managing single family homes, large apartment communities and assisting in commercial real estate transactions. Her career in residential property management brought her from Temecula to San Diego and ultimately, Orange County. Throughout her career with Irvine Company Apartment Communities and Zillow, her passion has always been providing an elevated experience. Nyk (pronounced NEEK) graduated from San Francisco State University with a Bachelors of Arts in Industrial Design. She worked as a designer in the Bay Area for 10 years. After meeting her husband, they decided to move back to Southern California to grow their careers and to start a family. Nyk and her husband are now raising their three young children: Mason (9), Lily (6), and Matthew (4) in Costa Mesa.